Bonhams announced a 1948 Talbot-Lago T26 Record Sport with coachwork by Saoutchik, a 1931 Bentley 8-Liter Saloon, and a 1911 Mercedes 28/60 Tourer for the Quail Lodge Auction during Monterey Week in August 2018. Three magnificent cars from the Golden Age of motoring are early highlights announced for the Bonhams Quail Lodge 2018 auction. A 1948 Talbot-Lago T26 Record Sport with coachwork by Saoutchik is a unique vehicle that won the Grand Prix du Salon when shown at the 1950 Paris Motor Show. 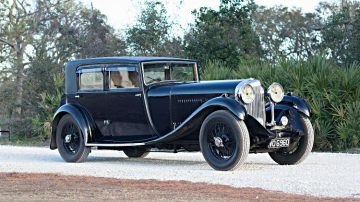 The 1931 Bentley 8-Liter Saloon with coachwork by Vanden Plas is the only survivor of only three produced in this specification – it was for two decades the fastest car produced by Bentley. 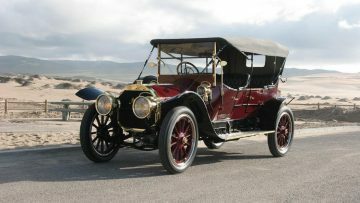 The 1911 Mercedes 28/60 Tourer is a Brass Era automobile still good for cruising at 60 mph. No estimates have been released yet. The Bonhams Quail Lodge 2018 classic car auction is scheduled for 24 August 2018 at the Quail Lodge Golf Club in Carmel Valley near Monterey in California, USA. 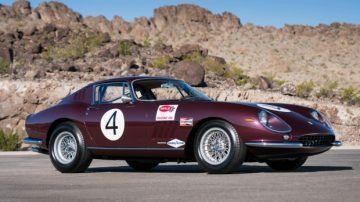 At the 2017 Quail Lodge auction, Bonhams earned $56,430,000 with a sell-through rate of 80% of the 105 cars on offer. 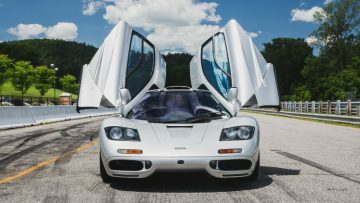 the top result was a marque-record $15,620,000 for a 1995 McLaren F1 sports car. One of the early highlights announced for the Bonhams Quail Lodge 2018 sale is a 1948 Talbot-Lago T26 Record Sport with coachwork by Saoutchik. This unique car was Talbot’s 1950 Paris Motor Show car and received the event’s most prestigious award, the Grand Prix du Salon. It was subsequently graced in photo shoots by Givenchy muse, Vogue model and film actress Capucine, will be featured. 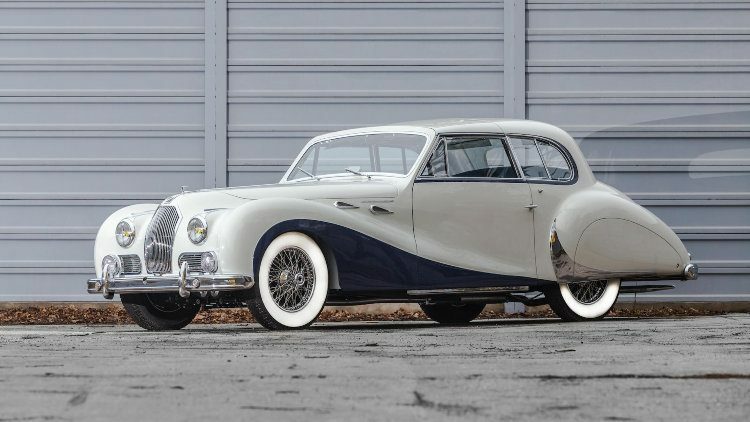 Adding further excitement to this legendary automobile is the fact that the whereabouts of this Talbot-Lago had been unknown for nearly a quarter century. Upon discovery in barn-find condition, the car was purchased by famed Nevada collector Bob Lee. Then, under current ownership, the one-off Saoutchik-bodied beauty underwent an exhaustive, no-expense-spared professional restoration to its original, glorious Paris Salon state. Now ready for the road and finest concours fields, the exquisite and luxurious French motorcar is a sight to behold. At least four Talbot-Lago T26 cars were sold at public auction for more than a million dollar during the past four years but these were all Grand Sport versions with coachwork by a variety of manufacturers. The top result was just shy of $2 million for a Grand Sport with coachwork by Saoutchik sold at the Artcurial Paris 2015 Rétromobile sale. The 1931 Bentley 8-Liter Saloon with coachwork by Vanden Plas is a British car of equal significance. Called “motoring in its very highest form” by the Autocar, WO Bentley’s 8-Liter would be the company’s fastest production vehicle until the R-Type Continental more than 20 years later. This remarkable Bentley was purchased new by AJ Player of John Player family and motorsport sponsor fame, and then in following years found its way to the US where is has been in the ownership of a well-known and active enthusiast for the last half century. Fitted with its original, lightweight, all-aluminum factory coachwork, it is one of just three ever built and is the sole surviving example. Rare, sporty and prestigious, it is a supremely functional and capable motorcar. Considered one of the fathers of the modern automobile, a prominent 1911 Mercedes 28/60 Tourer will also be on offer at Bonhams Quail Lodge 2018 auction. 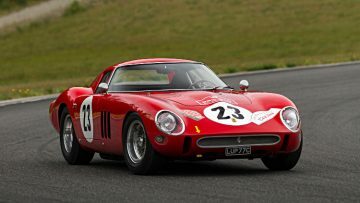 Truly epic in terms of history, proportions, performance and rarity, this genuine Brass Era gem has undergone a comprehensive and fully documented, historically accurate concours-level restoration. Best of all, the pioneering German motorcar has been in the same dynamic ownership for nearly 50 years, during which it has been campaigned in numerous long-distance rallies impressively maintaining comfortable cruising speeds of more than 60 mph.